The Library management software for monitoring and controlling the transaction in a library. which mainly focuses on basic operations in a library like adding new member, new Book, search book, and updating new information. Library of an institute is a treasure –house of authentic and valuable information that support the educational and research needs. It facilitates learning and enrichment of knowledge. It serves the need for enhancement of quality of education. The Green Village, Jageshwar has a small yet impeccable collection of books to satisfy the reader inside you. The books cater to wide variety of interest; fiction, motivational, biographies, books on Himalayas, Yoga & meditation books and many more books of other genres are available for reading during your stay. The Library has state-of-the-art information systems and provides access to an extensive range of databases together with traditional printed materials. The Library is stacked with more than 40, 000 books, 5, 000 titles and thousands of CDs, journals, reports that cover all subjects. The college has an exhaustive library with more than 93429 volumes and has a well furnished Reference section. The library gets several journals in various fields of Science, Engineering and Technology.It has ain-house browsing centre. E-library facility is also provided to the fellow students for the access of online journals. Tiny Pearls School boasts of one of the best equipped libraries with books, magazines and CDs covering a large range of subjects. 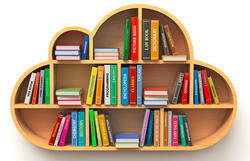 The Library consists of must readable materials for all age groups. If you have a library and did not organize yet, or willing to an open new library for your educational or corporate center, we provide you complete library classification system, such as card making, Dewey decimal classification, arranging book at the shelf by alphabetic order etc, through our library sciences expert staff by couple of ways manual and computerized, on contract basis. Library Management software system is Developed by Aim Softech, providing management solutions in collge, schools or educational organization, with 100% accuracy.